After a stint on last year’s X Factor and writing with some AMAZING music producers, Kingsland Road are back with their debut single AND EP for you to feast your ears on. At Brumotions, we are here to give you a track by track breakdown of what to expect for the 4-track EP and we have to say that we were more than pleasantly impressed! As the lead single from the EP – Dirty Dancer is instantly catchy and shows off the group’s fun personalities. It’s a great summer anthem, which will put you in a good mood and leave you singing along. The song is somewhat different to the sound we had previously heard from the band during their time on the X Factor and it cements their place within the music industry as the band they always wanted to be, however, we do miss those cheesy dance moves. Walk Away is the edgiest track by far, detailing a failed romance, the beat of this track builds and falls to showcase the smooth and faultless vocals of the band. The track has a great likability and is a great crowd-pleaser during live shows and seems to set them apart from the other countless boybands on the market. Shoreline is a bouncy, upbeat track, which makes you want to dance along to the infectious beat. The track gets off to a slow start but builts into a song, which you can’t help but keep playing on repeat. The song showcases the vocals of each member and the addition of Connor’s rap gives the song a great dynamic and summery feel. Never Too Late is the slowest song on the EP and shows a different side to the normally energetic lads that we’ve grown to love. However, it’s a great ending song for the EP and leaves you wanting to hear more from the boys. Kingsland Road’s Dirty Dancer EP is available NOW on iTunes and Amazon! Last night, a wide variety of music artists gathered together at the Forum in Inglewood, California for the 2014 MTV Video Music Awards! Here is the list of this year’s MTV VMA winners, some of which were not announced during last nights show! VIDEO OF THE YEAR: Wrecking Ball by Miley Cyrus. BEST MALE VIDEO: Sing by Ed Sheeran (feat. Pharrell Williams). BEST FEMALE VIDEO: Dark Horse by Katy Perry (feat. Juicy J). ARTIST TO WATCH: Miss Movin’ On by Fifth Harmony. BEST POP VIDEO: Problem by Ariana Grande (feat. Iggy Azalea). BEST ROCK VIDEO: Royals by Lorde. BEST HIP-HOP VIDEO: Hold On, We’re Going Home by Drake (feat. Majid Jordan). MTV CLUBLAND AWARD: Stay The Night by Zedd (feat. Hayley Williams). BEST COLLABORATION: Drunk in Love by Beyonce (feat. Jay-Z). BEST DIRECTION: Turn Down for What by DJ Snake & Lil Jon (Directors: DANIELS). BEST CHOREOGRAPHY: Chandelier by Sia (Choreographer: Ryan Heffington). BEST VISUAL EFFECTS: The Writing’s on the Wall by OK Go (Visual Effects: 1stAveMachine). BEST ART DIRECTION: Reflektor by Arcade Fire (Art Director: Anastasia Masaro). BEST EDITING: Rap God by Eminem (Editor: Ken Mowe). BEST CINEMATOGRAPHY: Pretty Hurts by Beyonce (Directors of Photography: Darren Lew & Jackson Hunt). BEST VIDEO WITH A SOCIAL MESSAGE: Pretty Hurts by Beyonce. BEST LYRICS VIDEO: Don’t Stop by 5 Seconds of Summer. MICHAEL JACKSON VIDEO VANGUARD AWARD: Beyonce. Let us know which awards you agree with or whether you thought someone else should have won that award! Brumotions Playlist of the Week – Fusion Festival Special! Our BRUMOTIONS PLAYLIST OF THE WEEK is back with a special FUSION FESTIVAL edition! With less than a week left over until the Birmingham based festival, we figured… why not have an amazing playlist packed with the videos from the incredible acts gracing this year’s stage! So here are 22 AMAZING tracks, including Saturday’s headliner Pitbull, with his newest track ‘Fireball’ and Sunday’s headliner Jessie J, with her incredible track ‘Bang Bang’ (featuring Ariana Grande and Nicki Minaj). And don’t forget to suggest some tracks of your own to feature in the next BRUMOTIONS PLAYLIST OF THE WEEK, which will be available on September 7th! 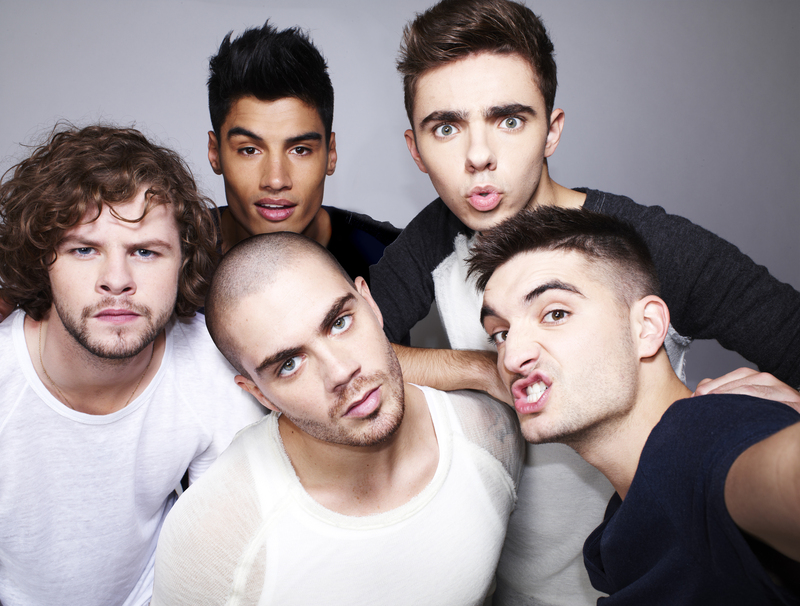 BREAKING NEWS: The Wanted to perform at Fusion Festival without Nathan Sykes? Are The Wanted scheduled to perform at Fusion Festival without Nathan Sykes?! It’s been announced today that this is TRUE! This comes as a surprise to most fans as the group’s appearance at the Festival was never called into question and there are only 11 days until the group’s performance. Have you gotten your tickets for the event? What do you think about this announcement? Covers of the Week – Chandelier! This week’s ‘Covers of the Week’ post has another FIVE amazing covers from a number of up and coming musicians on the internet! And this particular chosen track has a large number of covers – that we soon found ourselves wanting to include all of them! We did manage to limit ourselves to our favourite five though… EVENTUALLY! And here are the AMAZING covers, we have chosen this week! Make sure to check them all out and drop them some love on Twitter! Let us know which one’s you liked or whether you’ve seen any other GREAT covers of this track! Our next ‘Covers of the Week’ will be available on September 7th so make sure to check it out! 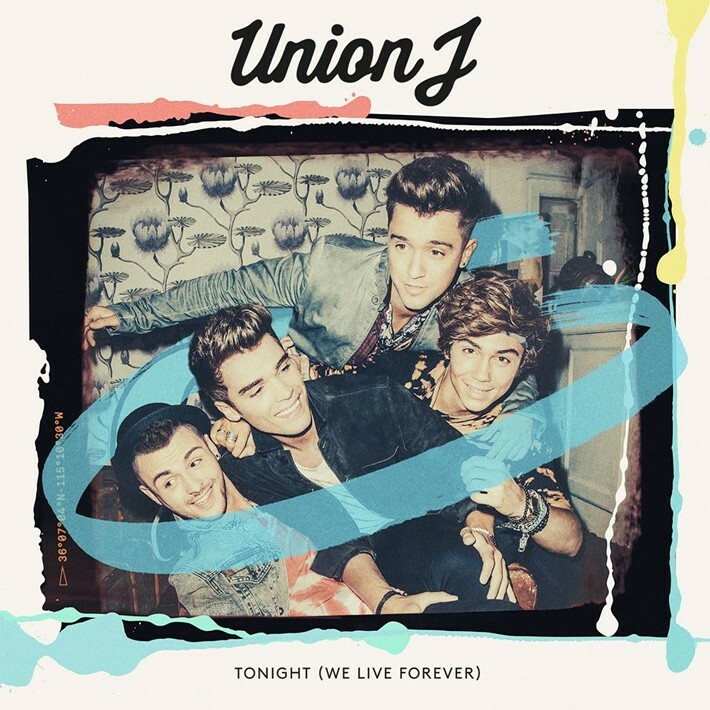 British foursome Union J are back with their newest single ‘Tonight (We Live Forever)’, which is set to feature on their second studio album and is already reaching great success after entering the iTunes Top 100 Chart through pre-order sales alone! 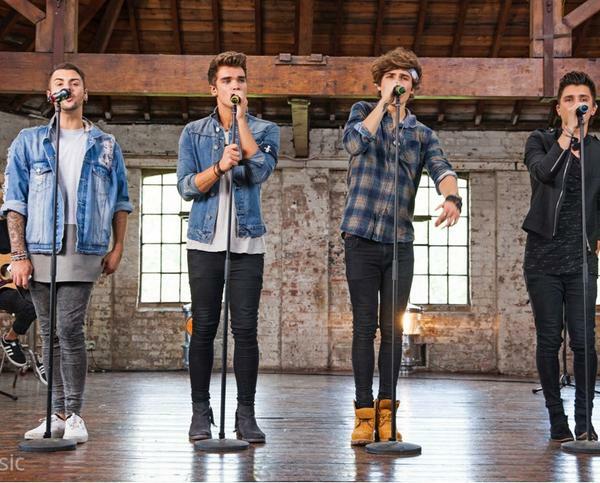 Union J, who are more popularly known for their time on the ninth series of The X Factor – consists of JJ Hamblett, Josh Cuthbert, George Shelley and Jaymi Hensley (Left to Right), who will be releasing their newest track on August 17th. Tonight (We Live Forever) is an optimistic and bubbly track, which has the makings of a single worthy of a Number 1 chart position! This uptempo track is a perfect summer anthem, which we know you will be blasting for a while. 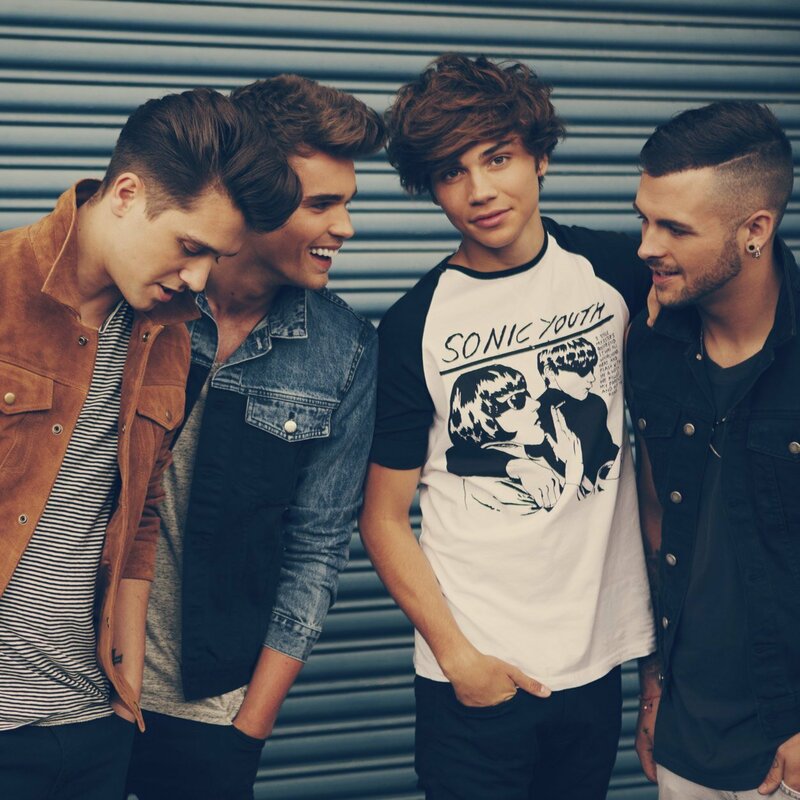 The lads have said: “The track sums up what Union J are about it terms of our sound and it also reflects who we are together – a group of friends having the time of our lives.” – Which is pretty easy to see when watching the incredible music video. Although Union J’s newest track is completely different to the single’s released from their debut album, we expect the lads to be receiving the same amount of success! Tonight (We Live Forever) has already raced through the charts before it’s official release, so we have no doubt that this track will soon be bouncing into the UK charts! Union J are currently planning a 2015 UK tour, so make sure to keep up to date with us, here at Brumotions – and we’ll bring you the details ASAP! Tonight (We Live Forever) is available for pre-order now! Brumotions Playlist of the Week! IT’S PLAYLIST OF THE WEEK TIME…. And this week here at Brumotions we have pulled together some of our favourite not so distant past, present and possible future hits and placed them in one big playlist. We have also seen an epic collaboration from three big female vocalists, Jessie J, Ariana Grande and Nicki Minaj in Bang Bang which we LOVE. And that’s not all …. Check out the full playlist and make sure to let us know of your favourite songs by your favourite artists and they may just feature in our next playlist of the week. 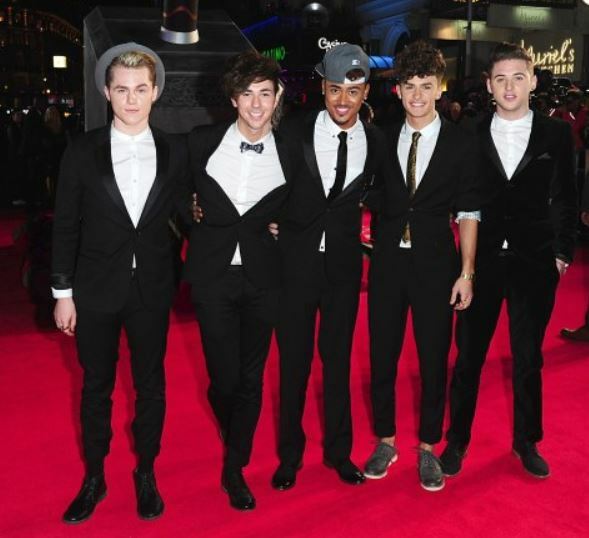 If you don’t already follow @Brumotions on Twitter and ‘Like’ us on Facebook.com/Brumotions for all your music news!